In 1880 the Gulf, Colorado and Santa Fe Railway arrived at the site that would become Orchard. Rancher S. K. Cross broke up his holdings in 1890 to sell to recently arrived European immigrants. The name reflected Cross’ optimistic promotion, even though early attempts to raise fruit here had failed. 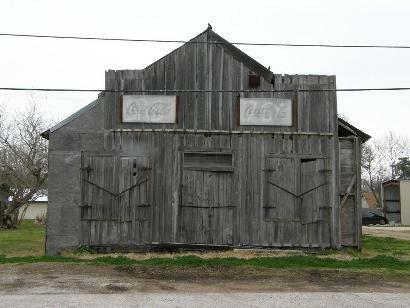 A post office opened in 1893 and the following year Orchard received 12 families from Ohio, which helped the town reach a population estimated at 250. 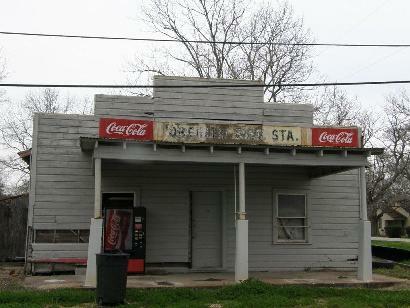 Orchard’s infrastructure peaked in the 1920s when it had three general stores, a filling station, a gin and a drugstore. 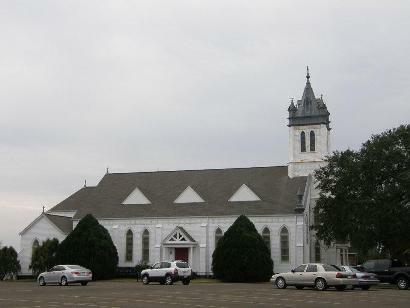 By the 1940s it was down to a school, church, and four businesses. Nearby school districts merged with Orchard in the late 1940s to form the Orchard consolidated school district. 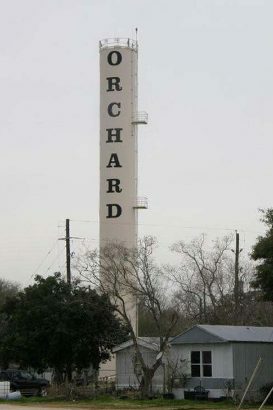 Orchard’s population remained at 200 from the 1920s through the 1970s.